Buy the 9 Tray Clear Door Now and have the latest in look and functionality for a fraction of the cost. Upgrade to the latest door for your Excalibur! 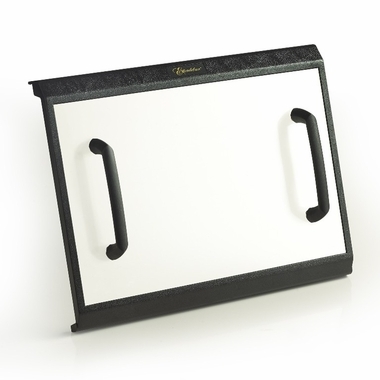 This Clear Door fits all 9 Tray Models including the 2900, 3900, 3926 and D900. Made of Clear, Polycarbonate Material. Black Frame ONLY. Door is NOT available in white frame. Handles included (require assembly to the clear panel door - all hardware included). When I bought my Excalibur 9 Tray dehydrator I liked the option of being able to check the progress without opening the door and losing the heat. The clear door lets you keep an eye on foods that finish at different times. It is a great addition to the unit. Thanks for the option! I love my new see through door, it makes it easier to check on my dehydrating food without opening the door! The little I have used my new dehydrator, this clear door is an asset to me. Very glad I took the opportunity to order it when I ordered the dehydrator. Such a smart move to get this door so I can see the product I am processing. I LOVE this upgrade and it is sharp looking in my kitchen.